LAS VEGAS — Ted Schilowitz, futurist with Paramount Pictures, looks at the state of entertainment today, and sees a mixed bag. “There’s almost no separation between what an expensive camera can create and what any camera anyone has can create,” he said. 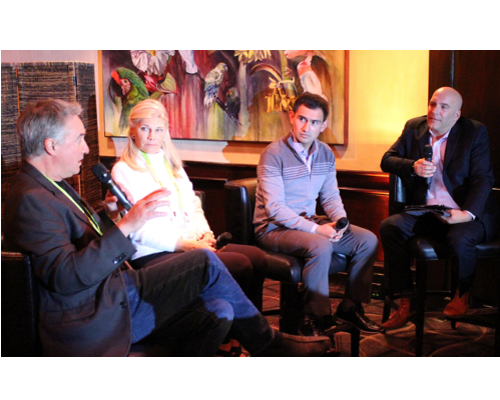 Belsasar Lepe, founder and CTO for Ooyala — which hosted the panel — offered a different perspective: all this content, regardless of length or quality, has a role to play for bringing in revenue for both distributors and content owners. Jonathan Huberman, CEO of Ooyala, doesn’t disagree that it’s a different entertainment world than it was just a few years ago. Consumer expectations — and patience — are more difficult to predict, he said.